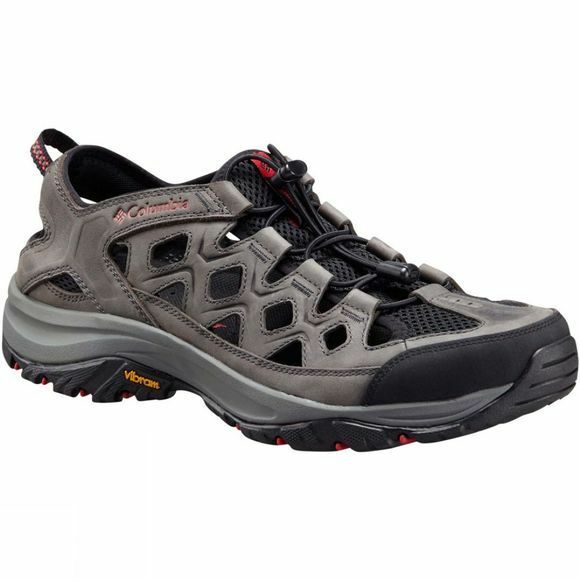 The Mens Terrebonne Sandal from Columbia make a comfortable and durable solution for trail walking when the weather is warm: you get all the benefits of great stability with the high-performance traction sole, with a comfortably cushioned midsole, and the light relief of maximum airflow too. The upper is in leather and mesh with a rubber scratch toe pad and the cushioned comfort means you can walk as long as your heart desires. Upper: Full grain leather & mesh Rubber scratch toecap. Firmer compound for maximum support.